Remember the days when doctors used to take notes with a pen and pad of paper? Or how most if not all of your medical records were physically filed away? (This was why it was such a headache to request to see them, it took forever to get them out!) What about how prescriptions were not sent automatically to your pharmacy, instead you had to drop off the prescription and then go back later to pick it up? Health care providers have seen notable changes in the way they operate with regards to efficiency, the patient experience, security, and availability to patients due to the advancement and implementation of new wireless (and paperless) technology. However, just like with the old system of pen and paper, there are many new challenges and getting the most out of your new hospital wireless network takes a lot of organization. Hospitals and other health care providers have a lot on their plates. Everything from the patient experience, to their staff's productivity and efficiency, to implementing an EHR or EMR system and adhering to HIPPA compliance standards. Suggested Reading - "Accessing EHR's Via Mobile Devices on Your Hospital Wireless Network"
There's also network issues themselves, such as BYOD, outdated wired infrastructure, bandwidth and/or capacity demands and network security risks. It's a complex environment to say the least and in today's mobile world your wireless infrastructure interacts with everything and affects your entire hospital or medical office. Even traditional methods of keeping track of medical records (filing system) required exceptional management strategies to make sure everything ran smoothly and the same can be said about today's hospital wifi networks. 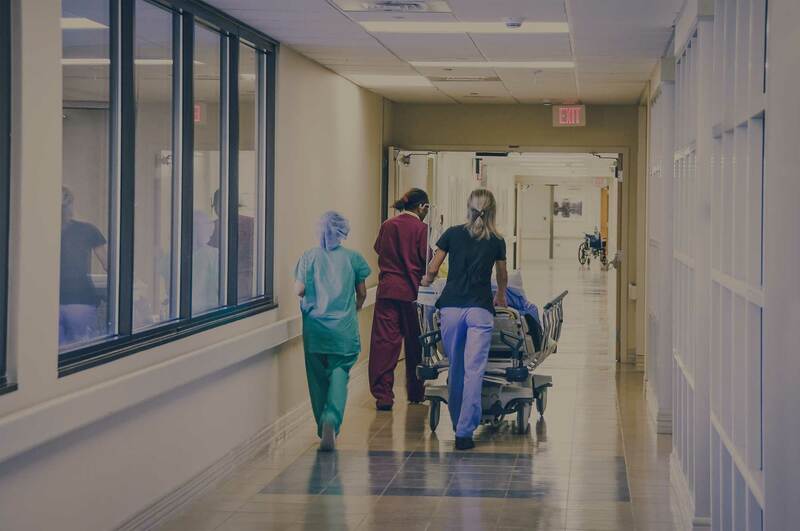 To help you maximize your wireless network we've put together a simple guide explaining how hospital wifi management works as well as 4 major benefits you can expect to see from having it in place. How does (Hospital) Wifi management work? Wi-Fi management is all about visibility and control that results in a more efficient higher performing wifi network. Optimizing your network's design by giving you visibility into which access points are seeing the most traffic. Decreasing operational expenses by minimizing the time it takes to diagnose and resolve network issues. Which in-turn creates a more productive and efficient experience for everyone. Improved performance - Time is money and in the hospital environment it also saves lives. If an appointment or visit with a patient is interrupted because of an under-performing network it directly impacts the patient experience as well as the productivity of your staff. Ease of remote location and device monitoring - Most hospitals have satellite or branch offices connecting to the same platform and resources. Ambulances now even connect to networks to receive and transmit information. Managing these locations and mobile devices in health care from one tool eliminates repetitive visits to branches to check performance, analytics, and statistics of the network. Suggested Reading - "A Visual Report of Tablet Usage in Health Care [Infographic]"
EHR (Electronic Health Records) - Many hospitals and medical offices today are upgrading and migrating to EHR or EMR systems. This transition or implementation can be difficult without the proper visibility and control. A wi-fi management system allows you to roll-out an EHR system with the proper visibility into your network you need to avoid any network disruptions that might otherwise occur when transitioning to this new type of system. Decrease and eliminate spotty connectivity to the centralized database. Clerical and clinical staff depend on real time information from records, test-results, and billing information. Having the proper visibility into your network makes it possible give your staff the information they need when they need it. If you would like to discuss how a wi-fi management system would help your current wireless network please contact us here, we'd love to see how we can help.